Just a quickie here folks, and mostly pics! I sent the sculpt off to TOKYO for this guy. I expect it will get there in about a week, and we'll see test pulls (in VINYL!!!) in about 2 months! 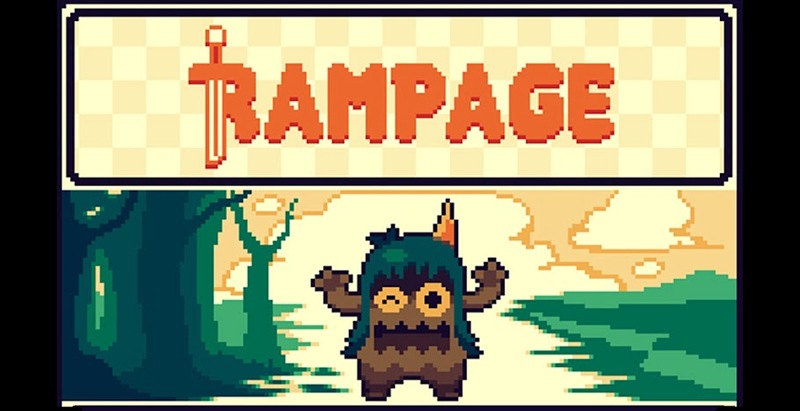 More info soon! Here are the pictures of this guy in all his UGLY GLORY!!!! A little group shot for scale, and, well, FUN! As Seen on SPANKY STOKES! So, thing is, I'm ok about getting things out there... just not on my own blog! Silly, right? 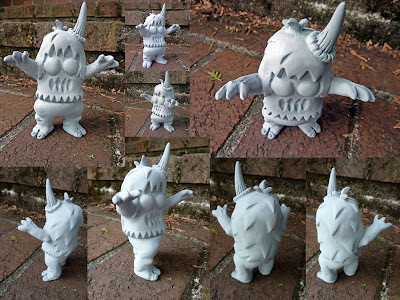 Anyway, perhaps some of you folks have seen information about the "Ugly Unicorn Sofubi Project" on blogs like Spanky Stokes, or Toys, etc., or maybe even elsewhere. And perhaps you've seen the bundle of Work in Progress pictures that I've gotten on Flickr and Facebook. But Now they are here! Right here where they should be! So, this is super exciting! I've recently completed the sculpt for a figure that is intended for Japanese Vinyl production! This little guy is the "Ugly Unicorn." He is generally a docile fellah', but the thing is, he needs cupcakes to stay alive! If a sky scraper or unwitting pedestrians were to get in between him and a cupcake, he can't really be held liable for the destruction that might ensue. 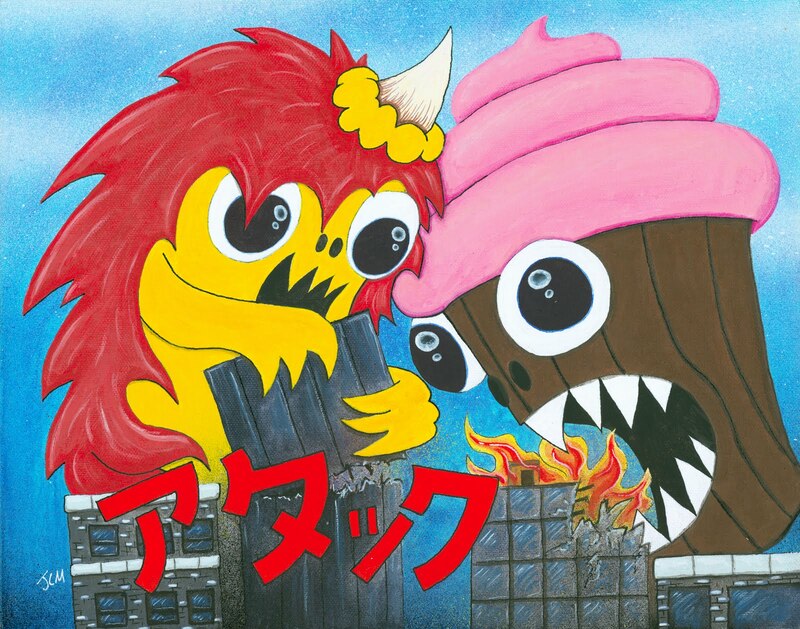 So (and this might be stating the obvious) he is the arch enemy of the Cupcake Kaiju! Whenever the two cross paths, there is sure to be a problem - a fight even! Think: "Giant Cupcake Eating Booska"
That's a little bit of the backstory - more to come (in an illustrated format!). Oh, and one more thing - unrelated to the exciting Ugly Unicorn project, but still super exciting!